Ok, so I had a very busy weekend. My beautiful niece made her First Communion on Saturday. We made the hour & 45 min long drive out to PA for the mass. It was lovely and we had a great luncheon afterwards. My back was less than thrilled on Sunday after 3 1/2 hours in the car, so after initially heading back out to PA for Mother's Day with my mom, I turned around to give my back a well deserved rest. After a nice, long nap, I got back to quilting. Since I spent yesterday laying low, I was able to get some sketching done, I worked out some of the details of the Floating Sampler BOM I'm starting in June, and I worked on the quilting motifs for my block swap squares. Today you get a twofer: my favorite blog posts and motifs. This Week's Favorite Blog Posts! Here are blog posts from this past week you should definitely take a look at. Melissa ran a really great Celebrate Mom event. 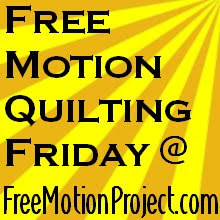 She had 6 guest posters write about being a mom and quilter. Katy is starting a quilt along June 1st. I'm considering doing joining in. She's using Rachel Griffiths Impromptu pattern. You'll need a layer cake and 6.5 yards of fabric if you're interested. Last Monday I left you with this image of my block swap blocks. I want to thank all of you for your input. I ended up with some straight lines, some curves and an undecided background. I printed out the image and started drawing on it. Here's what I've decided on. Tree: I wanted something geometric to go inside the tree. I'll probably make those lines curved to flow better with the other blocks but you get the idea. House: The brick work will get a ribbon around the main elements, shingling on the roof and an attic window. Basket: An echo of the basket is going to be fancied up with my curly tulipy design. Pinwheelish: The design is inspired by this motif, except rectangles instead of the triangles. Heart: I have a heart feather in there but I may change my mind. Stay tuned for more information on the Floating Sampler BOM. Subscribe by Memorial Day if you'd like a sneak peek. PS: I did get some FMQ done yesterday, but more on that tomorrow. Great quilting motifs! 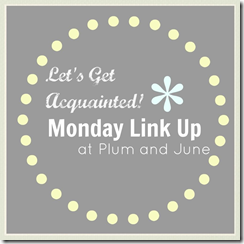 Visiting from Blossom Heart Quilts Monday Link Up. Awesome! thanks for the links. I'll try to check them out this week. Good luck with the FMQ!